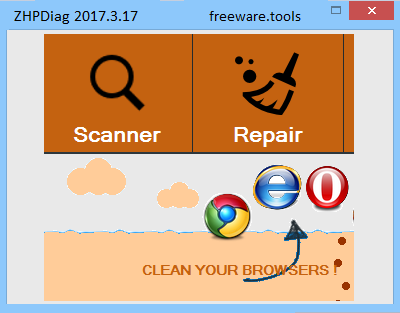 ZHPDiag allows you to scan your machine for and diagnose if any malware, trojans, etc., are present. Use ZHPLite for diagnostic report analysis. This tool is intended as an additional line of defense to help you find potentially harmful items and should be used in conjunction with other removal tools once any adware, PUPs, trojans, viruses or any other types of malware are found. ZHPDiag is presented within a simple UI which allows for a fast deployment and scan. Once it has finished the scanning process on your machine, it will provide a full report containing details of any items it found allowing you to take the appropriate action to remove them.